With all the Crafternoons I facilitate I've become really good at redirecting my recycling... And other people's! A girl can only generate so many cereal boxes, egg cartons, etc! 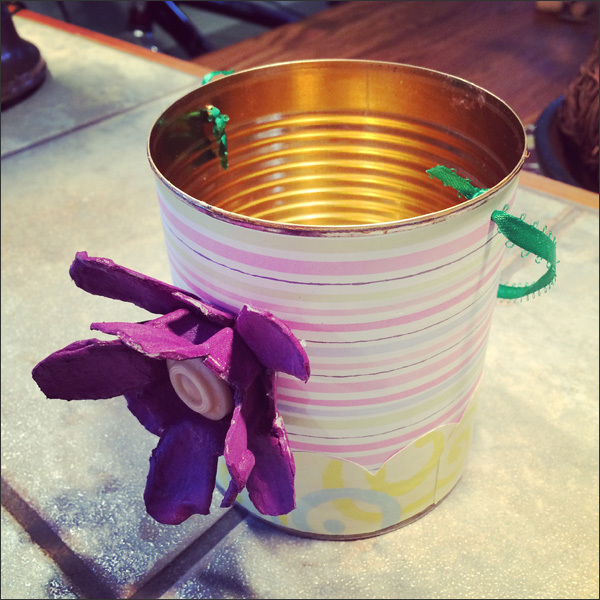 So here's my top 5 on items you can rescue from your recycle bin and turn into crafty awesomeness. 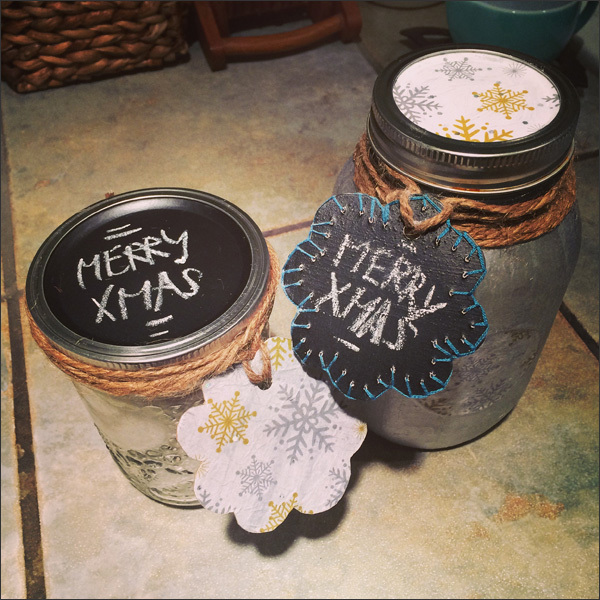 Mason jars are still trendy for upcycling and there is so much you can repurpose them into. 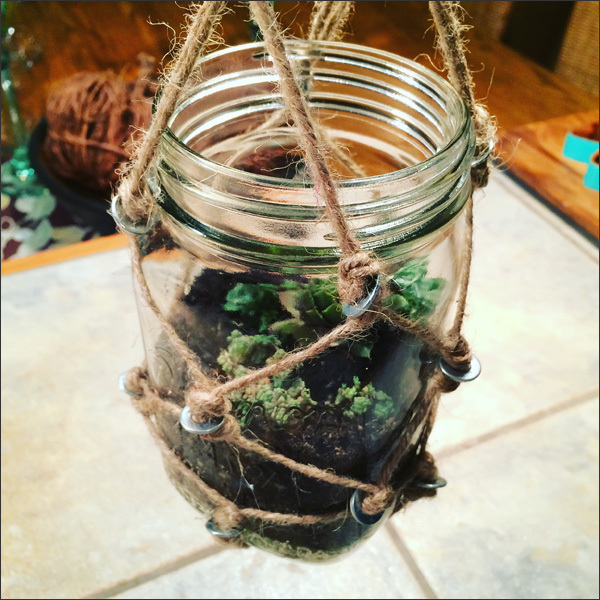 Get out the jute, whip up some macrame and plant some succulents to create a one of kind hanging planter. You can incorporate old buttons, metal washers or junk jewelry to add some bling. You can also use them as reusable packaging for DIY hot chocolate or bath salts. 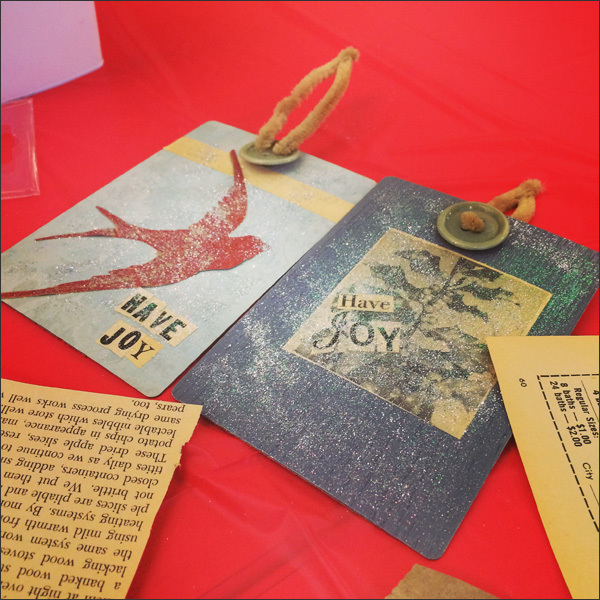 With a bit of paper and Mod Podge, you can decorate your packaging into a seasonal gift. Upcycle cereal boxes for the gift tags to make it a package of 100% upcycling magic. 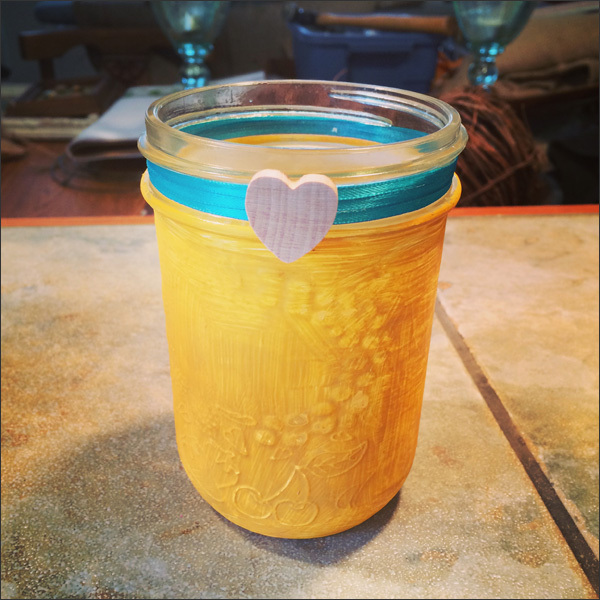 It doesn't take much to take a Mason jar and turn it into something stunning that any friend would be thrilled to receive. 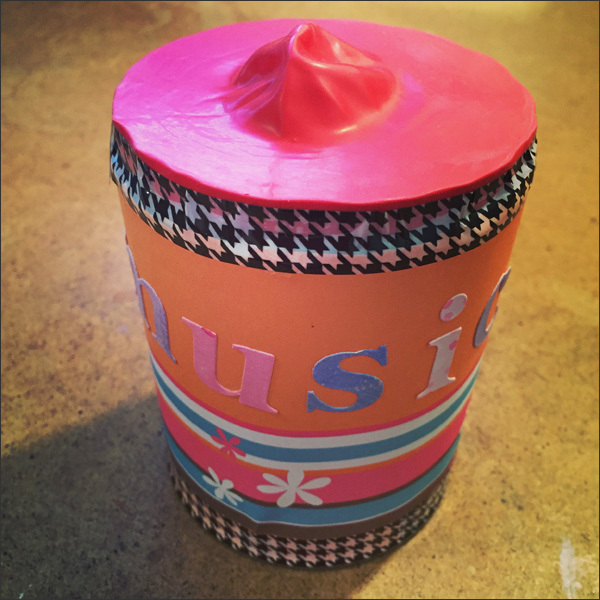 You can paint them, add ribbon, glue some sort of embellishment to them... Maybe this could be a container for pens or a makeshift vase. Anything is possible! 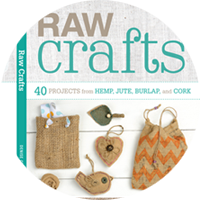 These are my main go to supplies for my upcycling workshops. 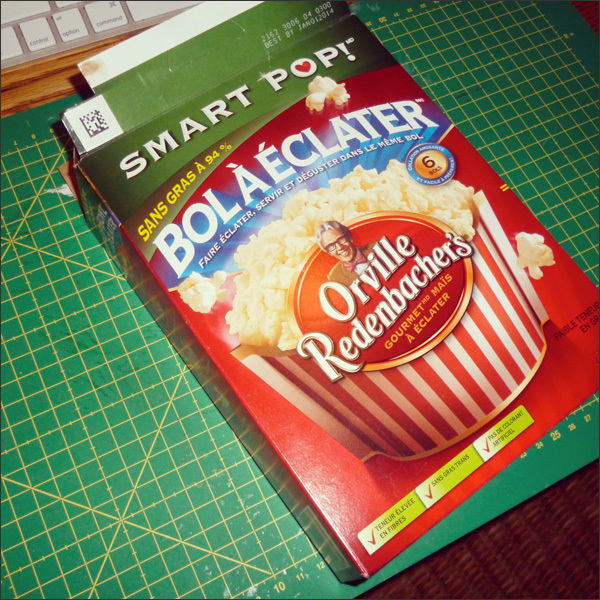 You can do tons of stuff with cereal boxes... Gift tags, cards, desk organizers, gift boxes, etc, etc, etc. 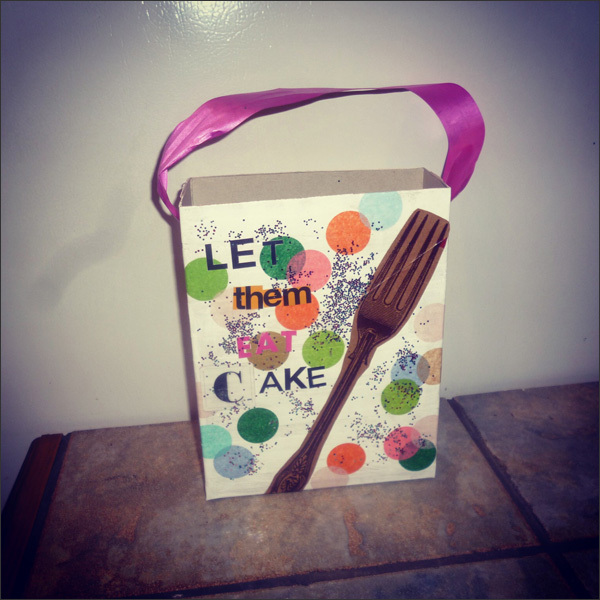 I made this easy peasy gift bag by decoupaging the outside of the box then adding ribbon for the handles. 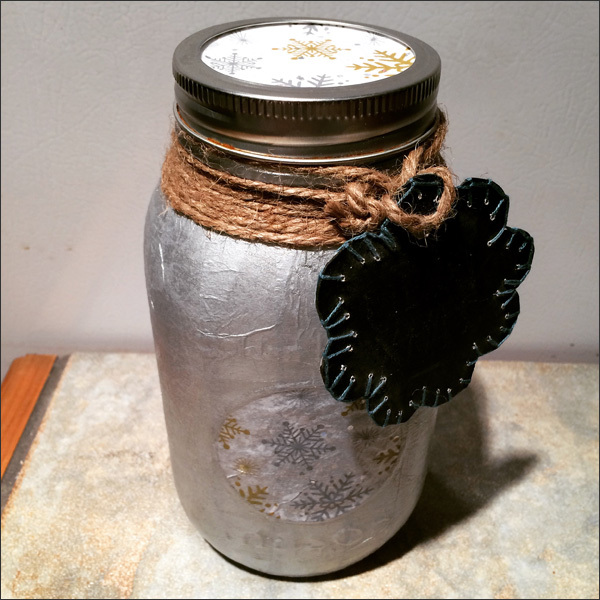 It's an easy and fun DIY so instead of buying a gift bag - make one! Turn cereal boxes into Xmas ornaments... Or other home decor. I used a cookie cutter for the pattern and Mod Podged some old paper and added some glitter for an elegant yet simple ornament. You can even make art! Why not! 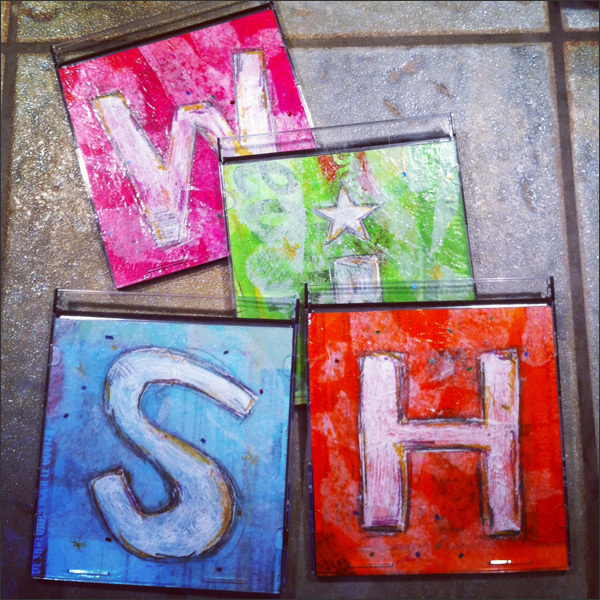 I decoupaged and painted on these cereal box squares then inserted the finished pieces into old CD cases. Easy, fun and awesome! I'm still at the beginning of seeing just how much I can do with tin cans... I definitely need to experiment more with these! But for now I've made a basket out of an upcycled tin can. You can create office organizers, candle holders and more! And of course the really popular musical instrument... You can make a drum or shaker easily. Rice or beans, a balloon, tape or an elastic band and any design you want to add. This is a 10-15 minute project that is fun for kids and adults alike. 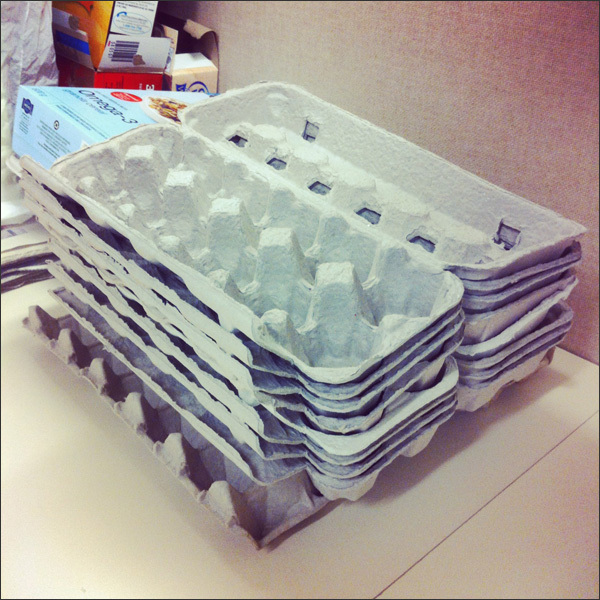 Another go to for my Crafternoons are egg cartons... Not the styrofoam ones but the cardboard egg cartons. There is tons you can make with egg cartons - flowers, ornaments, wreaths and more. 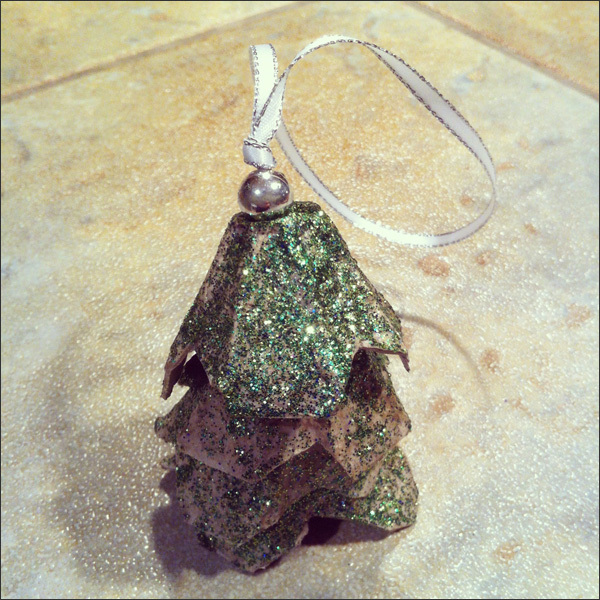 Here's my DIY Xmas ornament... Ribbon, an old bead and a cut up egg carton. A bit of glitter goes a long way! Such an easy project that you can create with your kids in no time. 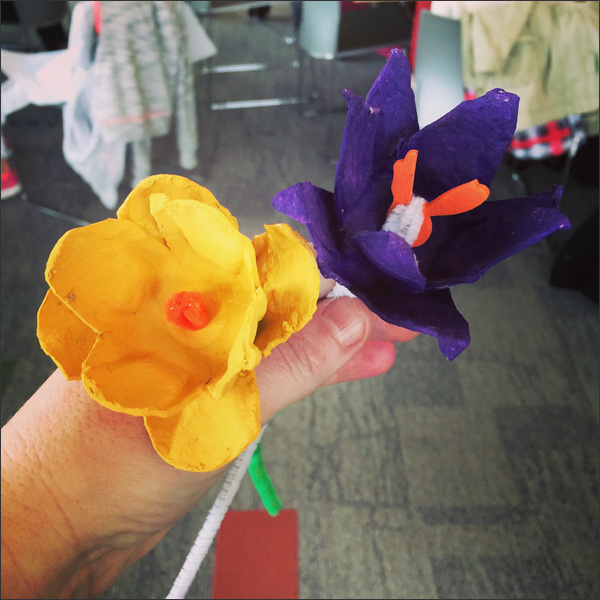 And the ever popular upcycled egg carton flowers... A bit of paint, a button, some pipe cleaners and then egg cartons. 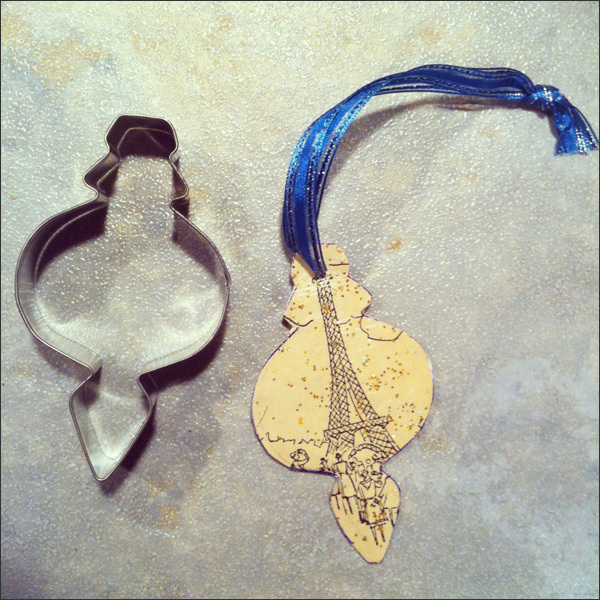 Total upcycling magic! Who wouldn't want this bouquet of upcycling love! 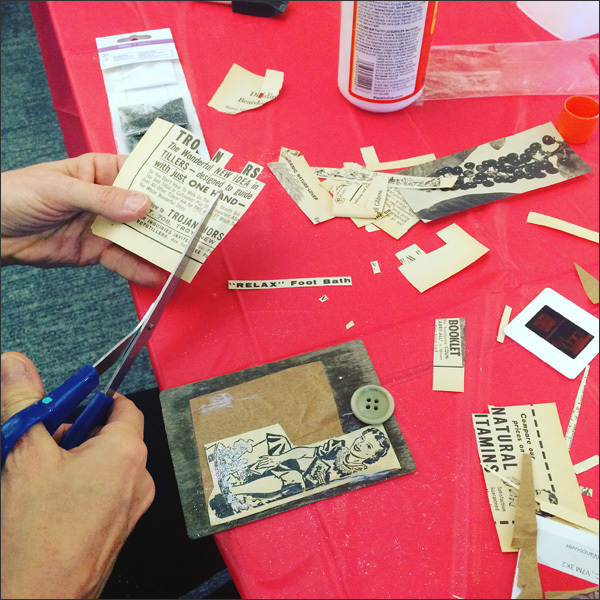 Old magazines, newspapers or flyers are great for collaging and decoupaging! 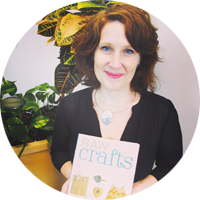 Make your own DIY cards, gift tags, etc by cutting up old magazines. Use the text or images to design a card... Maybe make your own dream / inspire board. The possibilities are endless! These could be gift tags or ornaments out of upcycled laminate samples with cut outs from old magazines creating a lovely Xmas message. There's my top 5 - scavenge through your recycling to find free supplies... Good for the environment, good for your budget and good for your inner artist. Enjoy!